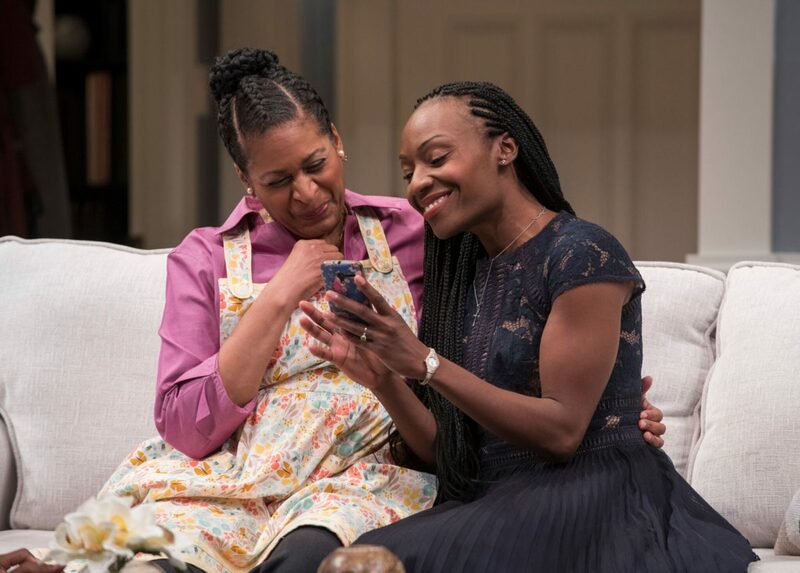 Courtesy of Michael Brosilow "Familiar," a play showing at the Steppenwolf Theatre focuses on a Zimbabwean-American family and its clashing traditions. “Familiar,” written by Tony Award nominee Danai Gurira and directed by Danya Taymor, shows how the life of an immigrant family assimilated into American culture conflicts with the heritage and customs of their homeland. “Familiar” opened at the Steppenwolf Theatre Nov. 26. The play tells the story of the Zimbabwean-American family who gather on a frigid, Minnesota winter day to prepare for the wedding of its eldest daughter, Tendiyaki (Lanise Antoine Shelley), and her fiance, Chris (Erik Hellman), a white man from Minnetonka. “Familiar” is a spot-on, comical representation of immigrant families and the clash of two cultures. The story is set in the home of Tendiyaki’s proud parents, Marvelous (Ora Jones) and Donald Chinyaramwira (Cedric Young), who fled to the U.S. in the midst of a civil war. Marvelous, an Massachusetts Institue of Technology trained biologist, and Donald, a lawyer, have worked hard to build a prosperous life for their daughters. Their success is evident in scenic designer Kristen Robinson’s set of a clean, well-decorated, upper-middle class home. Tendi’s younger sister, the artistic, free-spirited Nyasha (Celeste M. Cooper), also returns home for the wedding. She comes back from a trip to Zimbabwe with newfound appreciation for her cultural roots, and she’s bothered by her parent’s decision not to raise her with Zimbabwean language and traditions. The play’s catalyst is Tendi’s decision to surprise her family and take part in a traditional Zimbabwean pre-wedding ritual. Marvelous’ attempts to assimilate her children into American culture are challenged when an unexpected guest arrives from Zimbabwe to perform the ceremony — Auntie Anne (Cheryl Lynn Bruce), Marvelous’ older sister. The sisters wrangle over the value of keeping ethnic customs in the family, Chris gets to know his soon-to-be in-laws a little too well and hidden family secrets are divulged. Gurira is a Zimbabwean-American writer and actress. As an actress, she’s best known for her current role as Michonne in “The Walking Dead” and her recent appearance in Marvel’s “Black Panther” as General Okoye. As a playwright, her works include “Continuum,” “The Convert” and “Eclipsed” — which received a Tony Award nomination for Best Play. “Familiar” is her newest play, and it first premiered at the Yale Repertory Theatre in 2015. Gurira’s script touches on many aspects of life as an immigrant, such as the struggle to balance new culture and old traditions and the effects of immigration on children as they grow up with values different from their immigrant parents. The elements combine to form an engaging script that pulled the audience in with each joke and heart-warming familial moment. The first act combines family dysfunction, amusing attempts to get in touch with Zimbabwean culture and the comical stress of wedding preparations. It reflected most family sitcoms on TV, filled with sibling rivalry, marital bickerings, parental pressure and all the goofy relatives gathered in one house. But any good comedy needs contrast, and Gurira achieved this with an unanticipated twist in the second act. 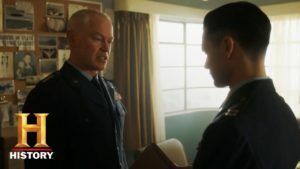 The cast gave an emotional performance depicting the family’s struggles. But with a lot happening at once and attempts to blend drama with touches of comedy in the second act, the play occasionally felt disorganized. However, this didn’t take away from the story and made it feel like watching a real day in the life of a family, not a scripted performance. The play naturally flowed, from a real life pre-wedding gathering of relatives — a testament to the well-written script, exceptional acting and outstanding direction. Another notable part of this production was the individuality of each character, showing how one family can have a large mix of headstrong, unique personalities. Especially in the second act, ideologies of each separate character arise and no two are exactly alike, which makes for multiple moving monologues and performances. Most audience members will relate to this warm-hearted, family story in one way or another. For a night filled with laughter and an entertaining look into customary Zimbabwean tradition, “Familiar” won’t disappoint. “Familiar” will run through Jan. 13 at the Steppenwolf Theatre (1650 N. Halsted St.). Student tickets can be purchased for $15 on the theater’s website.